Record-breaking heat has affected Americans all across the United States this late summer and early autumn seasons. Virginia’s Shenandoah Valley was no exception. 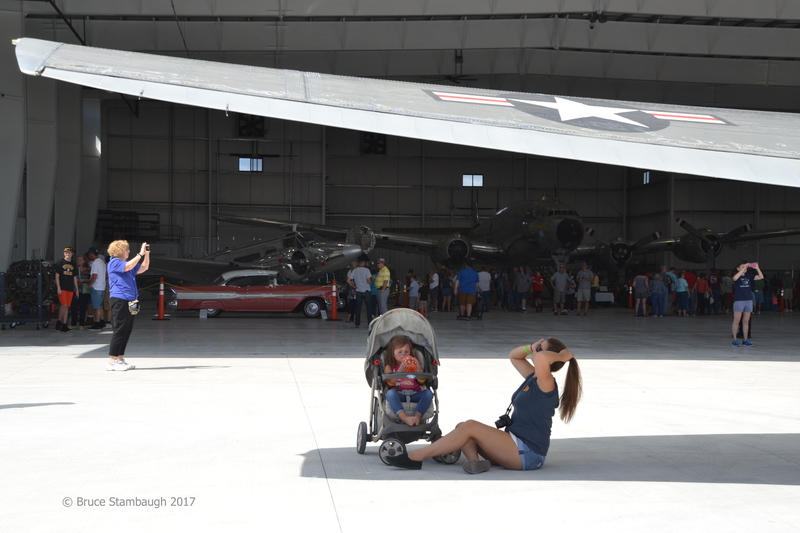 The shadow of the left wing of a restored and fully functioning DC 3 airplane brought at least temporary relief from the hot sun for this mother and her young daughter attending a recent air show near Bridgewater, Virginia. In the shade of the hanger in the photo’s background is the first Air Force One, Columbine II, used by President Dwight D. Eisenhower. “Sanctuary!” is my Photo of the Week.